I love my “diet rest day,” though I hadn’t been practicing it for awhile. Almost every day had become a “diet rest day” for me over the past couple of years. 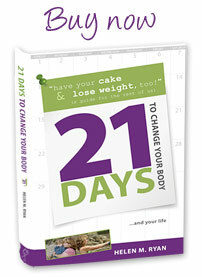 A month or so ago I got myself back on track – mostly – with the goal of losing 15 of the 20 pounds I had regained. This last week I tried something different with my diet, too. I decided to reduce my carbs and focus on eating more veggies and protein. I am a big carb freak. I believe in carbs. I love carbs. I live for carbs. But since my goal has been to shock my body back into weight loss action, the biggest shock would be to reduce my carbs. So I did. My “diet rest day” was actually 1.5 days (shhh). Sunday I was very free with my eating and pretty much ate every carb and sugar that was available to me. Unfortunately, a nice client had sent cookies, cheesecake and German chocolate cake home with me(!) so I had to sample a bit of them all. By the afternoon I started to feel dizzy and sick to my stomach. I could literally feel the sugars racing through my body….and I didn’t like it. Because I had cut down on carbs and sugars so drastically the week before, I was more impacted than usual. And in the evening, when I took my son out to dinner but didn’t feel like eating a whole meal, I simply snacked on two of his fried mozzarella sticks. This episode was odd for me because I wasn’t really binging. This was a planned “day off” with no furtive or secretive trips to the fridge, no frantic face-stuffing. I was kind of over all of that and moving forward. This misery did teach me one thing: my rules of “everything in moderation” and “balance” actually have merit. No, I shouldn’t have cut my carbs so drastically, but I still will for the next month or so to keep my body on its toes (I believe overall that a balanced “Zone” type diet is the healthiest). Yes, it’s good to shock my body with a heavier carb/higher calorie day now and then. And, surprisingly, massive amounts of sugar do not make me feel good. I should have stuck mostly with whole grains, fruits and just a wonderful bit of chocolate…I would have enjoyed my carbs more – bile free.